Does Social Variation in Child Height Reveal Underlying Health Risks? We tend to think of a person’s height as genetically determined but environment plays a major role in both the velocity of growth in childhood and ultimate or peak height attained in adulthood. Good evidence of the power of our environment to determine height can be found in the average height of European populations which Cole (2000) estimates has been increasing by between 10 and 30mm per decade since the 19th Century. This increase in average height reflects the growing improvement in living standards over the last century. But average population height gone up as well as down depending on the prevailing environment. In Britain during the industrial revolution, the long working hours for children inside the new factory system coupled with a diet poor in protein, vitamins and minerals led to a decrease in the height of the working class and a fall in the average height of the population overall (Floud et al 1990). Environment continues to have a role in determining height into the present. A number of studies have shown that individuals from more deprived social backgrounds are significantly shorter than their more advantaged peers (Galobardes et al, 2012; Howe et al, 2012; Li et al, 2004; Patel et al, 2011; Matijasevich et al, 2012). Unfortunately, these differences in height are not just cosmetic and have very real consequences for individuals in terms of their health and life expectancy. For example, shorter stature has been shown to be associated with higher rates of cardiovascular disease in adulthood, markers of biological ageing and a shorter life expectancy (Paajanan et al 2010; Gunnell et al 2003). Since a person stops growing in their teenage years, the association of height and later health suggests that differences in health and life expectancy in older age may be explained in part by environmental exposures in childhood. If so, child height and growth velocity can act as a proxy for the underlying health of the individual and the impact of the social environment on this. If this hypothesis is true we should see a growing gap between children of different social groups as they age. On the other hand, if these inequalities in height are defined from an early age, perhaps before birth, we should see stability in social differentials as the child ages. To date, researchers have not had a large enough pool of children available with good measures of social position to study these two hypotheses. LIFEPATH provides an opportunity to do so using pooled data from across a number of countries. 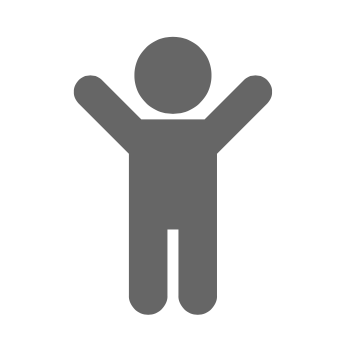 In this study we will be pooling data from British, Irish, Portuguese and Finish cohort studies of children to examine patterns of child height/length from the age of 9 months up to the late teenage years. After providing a descriptive account of social group differences in height be age we will then examine the role of different factors in explaining height differentials at different ages. Cole, T. J. (2000). Secular trends in growth. Proceedings of the Nutrition Society, 59(02), 317-324. Floud R, Wachter K & Gregory A (1990) Height, Health and History. Cambridge: Cambridge University Press. Galobardes, B., McCormack, V. A., McCarron, P., Howe, L. D., Lynch, J., Lawlor, D. A., & Davey Smith, G. (2012). Social inequalities in height: persisting differences today depend upon height of the parents. PloS one, 7(1), e29118. Gunnell D, Whitley E, Upton MN, McConnachie A, Smith GD, Watt GC. Associations of height, leg length, and lung function with cardiovascular risk factors in the Midspan Family Study. J Epidemiol Community Health 2003;57:141-6. Howe, L. D., Tilling, K., Galobardes, B., Smith, G. D., Gunnell, D., & Lawlor, D. A. (2012). Socioeconomic differences in childhood growth trajectories: at what age do height inequalities emerge?. Journal of epidemiology and community health, 66(2), 143-148. Li, L., Manor, O., & Power, C. (2004a). Early environment and child-to-adult growth trajectories in the 1958 British birth cohort. The American journal of clinical nutrition, 80(1), 185-192. Matijasevich, A., Howe, L. D., Tilling, K., Santos, I. S., Barros, A. J., & Lawlor, D. A. (2012). Maternal education inequalities in height growth rates in early childhood: 2004 Pelotas birth cohort study. Paediatric and perinatal epidemiology, 26(3), 236-249. Paajanen TA, Oksala NKJ, Kuukasjärvi P, Karhunen PJ. Short stature is associated with coronary heart disease: a systematic review of the literature and a meta-analysis. Eur Heart J 2010;31:1802-9. Patel, R., Lawlor, D. A., Kramer, M. S., Davey Smith, G., Bogdanovich, N., Matush, L., & Martin, R. M. (2011). Socioeconomic inequalities in height, leg length and trunk length among children aged 6.5 years and their parents from the Republic of Belarus: Evidence from the Promotion of Breastfeeding Intervention Trial (PROBIT). Annals of human biology, 38(5), 592-602.